We’ve gotten another look at Rage 2 gameplay courtesy of QuakeCon 2018. In a downright Rockstar style, the new footage showcases gameplay narrated by a friendly announcer running down the game’s new features, as we get a look at some background info for the world and one of the game’s quests. Rage 2 is set 30 years after the first game, with the Earth finally recovering from the apocalypse. Now there’s an array of biomes, representing the planet’s return to life. In addition to the desert there are now greener locales, including the wetlands where the game begins. The sequel will “double-down” on vehicles, giving you options ranging from speedy racers to heavily armoured enemy vehicles. You’ll also have to contend with enemy convoys packed with with deadly cars. The trailer also shows off plenty of weapons and abilities. The most impressive is probably the there’s the wingstick, which – when upgraded – will let you through a hot death boomerang to target enemies around corners. The reward after the quest is a new kinetic ability that lets you send enemies flying. 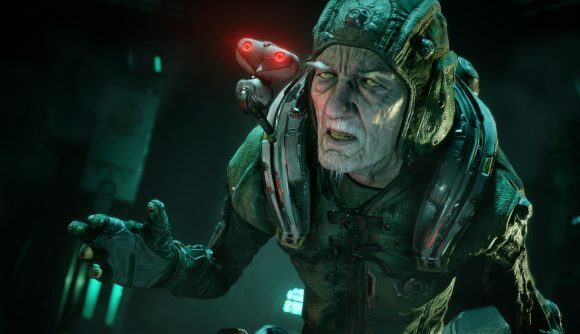 Keep an eye out for the Rage 2 release date – follow that link for far more details concerning everything we know so far.